Our strong position in the global market exhibits our proficiency in the pot strainer manufacturing, which is a cost effective alternative to filter impurities from the heavy load. The pot strainer is another name of the basket strainer, due to its pot type shape, is produced using the quality tested carbon steel material to convey noteworthy sturdiness and longevity for the years. 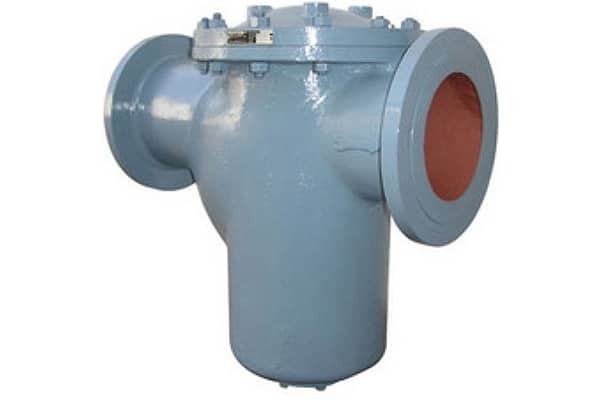 This pot strainer is compatible for horizontal installation in the pipeline, and highly approached to install ahead of the meter, pump, valve or any other process equipment. The quality controlled engineering in conjunction with the stringent quality checks enables us to bring forth an outstanding range that is incredible in filtering impurities and elevating the process speed of the respective industry. This pot strainer can be used to filter any type of fluid, be it water, oil or other petrochemical products. The simple design of this pot strainer reduces the time required to empty basket and therefore is better for the industries where heavy load of impurities is common. The flanges of this pot strainer are designed as per the ASME standards to best fit with the pipeline, which is also available according DIN and BS standard upon customer request. Owing the demand of this pot type strainer in the market, we have made this range available in the broadest specifications, available in the India and foreign countries at the leading rates. Our pot strainer is capable to withstand 100 psi to 300 psi operating pressure and high temperature without failing and is being extensively used in the petrochemicals, water, and agriculture, cooling water, textile and analogues industries. Our each pot strainer is tested meticulously ahead of leaving the factory to ensure impeccable quality deliver at the doorstep of our esteemed clientele.